I’m thoroughly proud to introduce you to my new website – the launch of my new branding and identity. 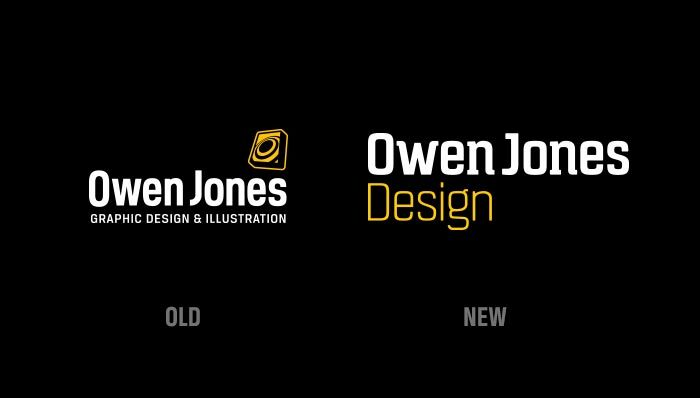 Since beginning my full time venture as Owen Jones Design in 2010 (four years ago today) I’ve been operating under a logo that was initially designed in 2004 following my graduation and tweaked from time to time since then. That logo, based on the letter O and the concept of communication, served me well up to a point but in the last 12–18 months I have been aware of its limitations. As a logo designer I want to have a logo and identity that I’m proud of and that showcases my skill, style and approach. The old faithful (henceforth to be known as ‘the washing machine’ or ‘the speaker’!) wasn’t achieving that and I set out to rebrand and refresh. There have been dilemmas en route; whether to design or outsource the work (see my thoughts on that here), what to keep and what to remove, whether an icon or mark is a requirement in a logo and many more. The new logotype is the result of hours and hours of meticulous planning and development, representing confidence, bravery, clarity and technical skill – all attributes that I’m keen to communicate going forward. The logo is new but the visual language will remain familiar. A defined colour palette has been developed, headed up with the established yellow and black combination, and typography will continue to make heavy use of the Breuer family by Silas Dilworth (introducing a stronger use of the Bold Condensed variety – particularly for headers). 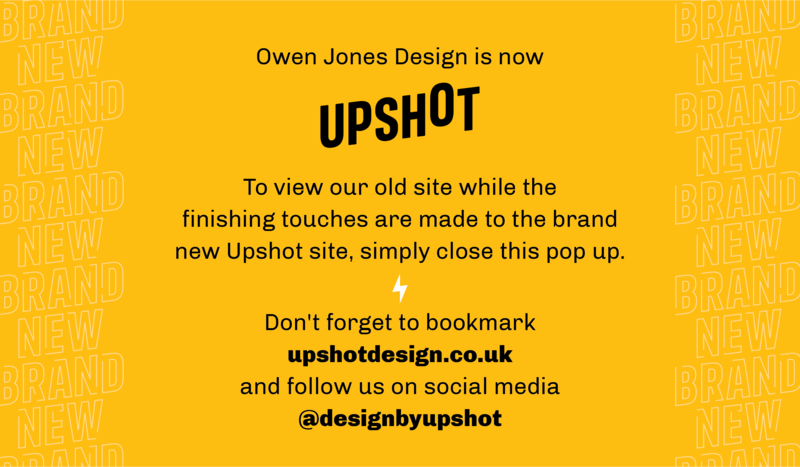 • To communicate the approach, principles and benefits of Owen Jones Design. All very ambitious but it’s only what I’d have recommended for a client if they were in my situation and so, to walk the walk as well as talk the talk, I set about approaching the project in the most professional way possible. It may have taken more than a year to come together but I’m very pleased to finally see the fruits of my labour revealed. I’m confident that the site is on-brief and is starting to achieve the objectives above. Special thanks go to the guy who turned my vision into a working site – Brad Bucceri – whose expertise (in design as well as web development), encouragement, patience and flexibility have been central in achieving what I set out to achieve. I quite literally couldn’t have done it without him! Also a special mention to Andy Davies who’s stepped in and handled some niggly hosting/database queries we’ve had along the way – many thanks to Andy! 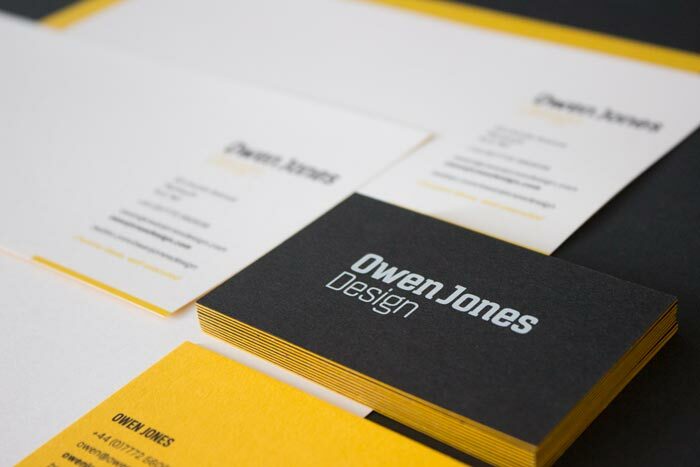 Also to Alan and Ben at Kolor Skemes for the superb job printing my new stationery. I always like having a special print effect on my cards as it provides a talking point and a hint of what I can achieve for the person receiving it. For the last four or more years my cards have carried a spot UV varnish on one side (see the old versions above) which has always raised eyebrows and comments so it would take something very special to cause me to try something new. 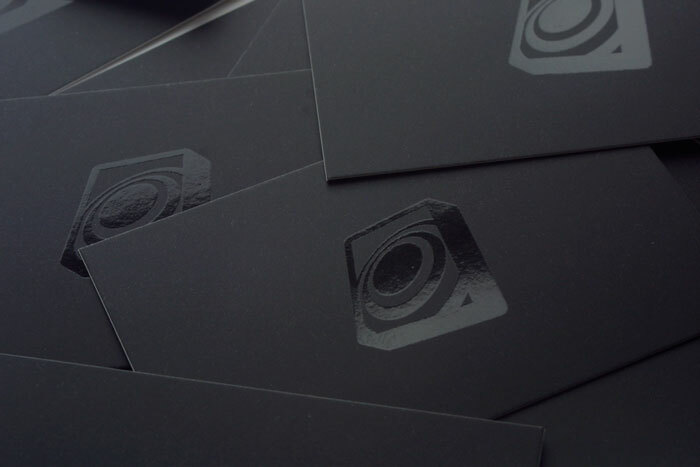 But seeing a sample of their white ink printing onto super heavyweight duplexed cards inspired me and their customer service and printing have both been excellent. So go ahead, browse and see what you think of the site. Check out the case studies, read some articles, find out a bit more about me as a person and a designer. And please do let me know! Your feedback (positive encouragement as well as suggestions of things that aren’t working so well) will be very much appreciated and taken on board.